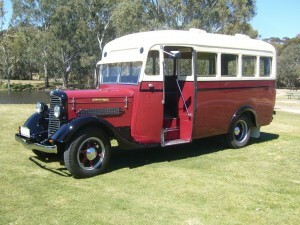 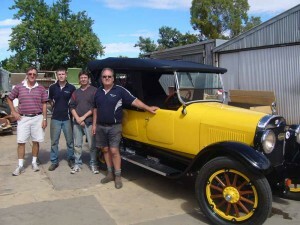 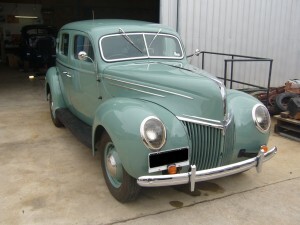 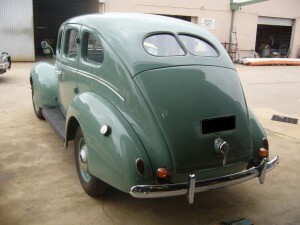 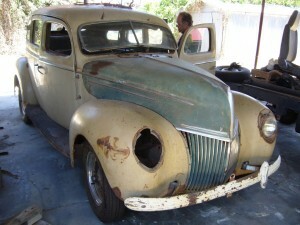 The 1939 Ford Deluxe as first seen by Goode Restorations. 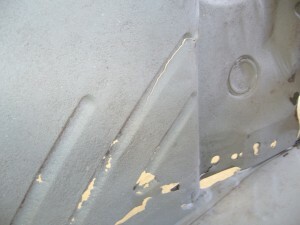 After pressure cleaning and sand blasting, the amount of rust and metal fatigue became apparent. 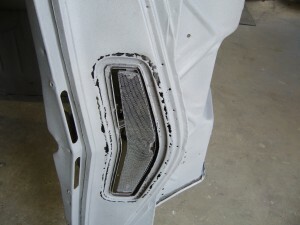 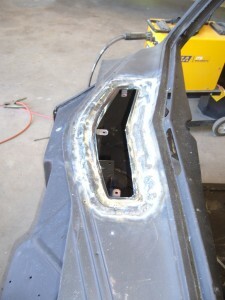 The rust around the front air vent cut out and new metal being welded in. 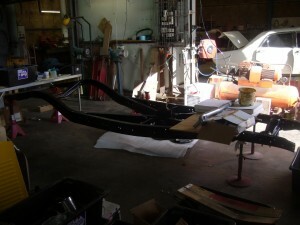 The sand blasted and painted chassis ready for reassembly. 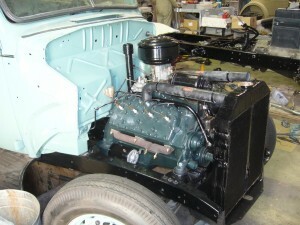 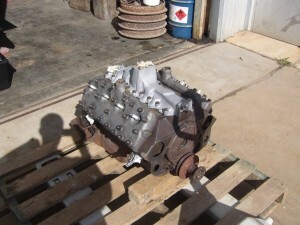 The completely rebuilt engine ready for paint. 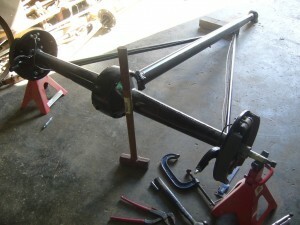 The overhauled diff having the brakes and brake pipes fitted. 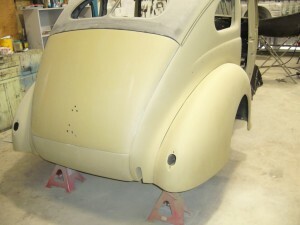 The engine fitted, ready for the front guards to be fitted. 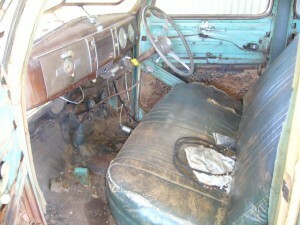 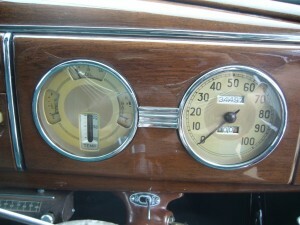 The overhauled guage clusters and the wood grain dash. 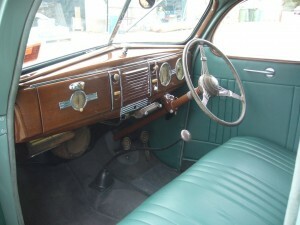 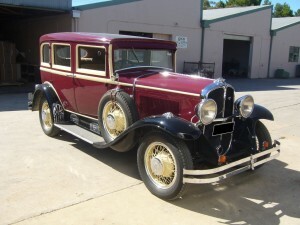 The wood grain finish was also on the interior window trims. 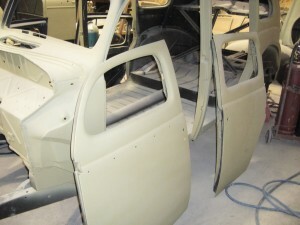 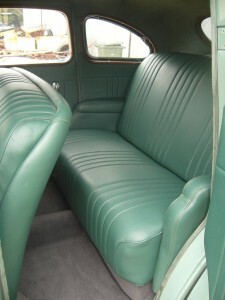 The finished rear seats and trim.